Busch Gardens Tampa Bay has officially started 2013 Bands, Brews & BBQ. Every Sunday through March 3rd you can enjoy 100+ Beers to Sample, Big-Name BBQ and Live Music. 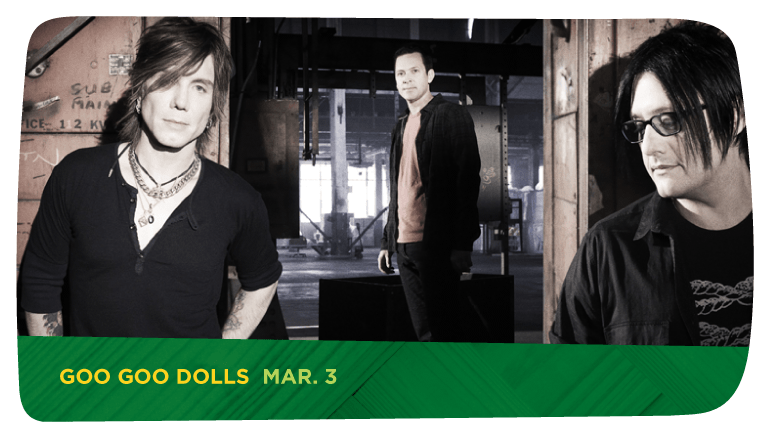 I am so excited for this event and we will be attending on March 3rd when the Goo Goo Dolls will be performing live!! The Goo Goo Dolls is one of my favorite bands from the 90's. Ironically, this will be my second time seeing them perform live at a theme park - they were the headliner at my Grad night (circa 1,000 years ago) and I cannot wait to see them again! Check out this video to see what Band, Brew & BBQ is all about. Bands, Brew & BBQ is back for its sixth straight year, and it’s bigger than ever! Busch Gardens Tampa’s® smokin’ hot festival is filling every Sunday, Feb. 10 – March 3, with an unlimited sampling of more than 100 specialty and craft beers, saucy barbecue from the bay area’s most popular restaurants and live concerts from some of the biggest names in rock music. For those looking to sample several of the specialty brews, unlimited sampling is available from noon to 5:30 p.m. every Sunday with a Beer Festival Wristband. Wristbands are $30 per person (ages 21+), or two for $50 for Busch Gardens Pass Members, and also include sampling privileges at the Desert Grill restaurant, Crown Colony pub and Zambia Smokehouse. The festival also serves up a savory series of food tents, with Outback Steakhouse, Smokey Bones Bar & Fire Grill and local favorite Kojak’s House of Ribs, as well as a selection of Busch Gardens’ own barbeque favorites. Whether hungry for a sampler plate or a hearty platter, guests will have their choice of perfectly prepared chicken, beef, ribs, sides and more! Guests can reserve the best seat in house for their favorite acts with the Bands, Brew & BBQ VIP Ticket. The VIP Ticket is $34.99 per person and includes priority reserved seating at center stage plus an entrée platter and non-alcoholic beverage at any festival tent location OR an entrée, one side salad, side dish or dessert, and a regular-sized non-alcoholic beverage from any of Busch Gardens’ restaurants. The VIP ticket is available for sale at BuschGardens.comhttp://seaworldparks.com/en/buschgardens-tampa/Events/Bands-Brew-and-BBQ. WOW that sounds like a blast! You always go to the fun events!! Lucky you! I am looking forward to it!! I love living in Tampa, there is always something to do here. How are you? How's the foot?